It’s February, can you feel “the love” in the air. It’s the month known for its focus on relationships and couples. With that said, many churches plan some really great events in the month of February, from masquerade balls to marriage conferences. Our list is incomplete without hearing what you’re doing. 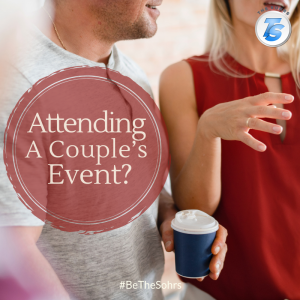 So our BeTheSohrs focus this week is, HEART if you will be attending a couple’s function this month. It’s simple; just go over to Facebook, or Twitter and LIKE or SHARE. It’s time, our time to share with the world what we, Christians, do. Let #BeTheSohrs!